A nose which is of perfect size and length can add more beauty to a person’s features. But you will be surprised to know that according to a survey, most people feel dissatisfied with the shape and size of their nose. Some completely cringe at the crookedness in the shape of the nose. For some people the tip of their nose is the problem while for some, the way the bridge of their nose ends, is an issue. Not only common people, even the celebrities have been known for undergoing plastic surgery for reshaping their noses. Surgery of the nose is performed for many reasons. If someone wants to change the shape of the nose by undergoing a surgery at a very young age it may not be possible to do so. Also, the surgery for reshaping the nose may be followed up by surgery for enhancing some other part of the face. The scars after a nose surgery are generally camouflaged inside the nose or if they placed outside they are very hardly visible. The surgery which is done for reshaping the nose for cosmetic purposes is known as Rhinoplasty. A patient may need to undergo Rhinoplasty because of blunt trauma to the face or congenital defects. A Rhinoplasty can give a complete makeover to a person’s face by bringing more harmony amongst the facial features. Even though Rhinoplasty is an elective procedure, the candidacy of a patient is reasserted by the surgeon. Depending upon the outcome of the Rhinoplasty, the surgery may involve addition or removal of tissues or cartilage to the nasal area. After the Rhinoplasty is completed, the nose is supported with the help of a splint to accelerate healing. Nose surgery by Rhinoplasty can be of two different types based on the location where incisions are made. In an open nose surgery or Rhinoplasty the incisions are on the outside. In this method, the surgeon makes incisions across the nasal strip which is also known as columella. Once the incision has been made, the surgeon can easily access the inside of the nasal structure and perform the changes with surgery of tissues or the cartilage. In the closed surgery the incisions are on the inside. This method of performing Rhinoplasty is less invasive and has better aesthetic results. Generally, more radical changes in the shape and size of the nose are performed by open Rhinoplasty while more subdued alterations can be made in the nasal structure by closed Rhinoplasty. Nose surgery which is known to correct problems such as a deviated septum is known as Septoplasty. A patient can have breathing problems due to a number of reasons. A very common cause because of which a person is not able to breathe properly through his nose is a deviated septum. The surgery that is done on the cartilage to correct the problem of deviated septum is known as Septoplasty. The bone and the cartilage that split our nostrils into two may get deviated from their actual position. This deviation leads to a person having problems while breathing. The septum may bulge out or it may displace linearly from its central position. When the Septoplasty is performed the surgery brings back the septum to its original position. As the air enters into one nostril more than other it dries out one nostril more. If the surgery is not performed by the best surgeon or in the best facility possible, a follow up surgery may be required. Keep reading to know more about Septoplasty and where to get the procedure done in India. Why should Septoplasty be done from the best plastic surgeon in India? In India, and especially in big cities like Mumbai, Kolkata, Delhi, all the top hospitals routinely perform this surgery. But a thing to remember before you undergo any surgery is that all surgeries carry some amount of risks with them. How risky a surgery can be not only depends upon the surgery but also the surgeon and how qualified he or she is. Some of the top hospitals in India have been in the news over the years for performing incomplete Septoplasty. Before you choose a hospital in India, do ample research. You surely do not want to undergo incorrect surgery. Choose the best surgeon by reading about the top hospitals and their best doctors and if you think that your city does not have the best facilities, you should get the treatment done in any big city like Delhi or Mumbai. In cities like Mumbai, you will have more options for choosing your hospital and the facilities that these top hospitals provide. Though Septoplasty can be performed by surgeons in any hospital in India, it is always better that you should pick a surgeon who is specialized in performing such surgeries. In Mumbai, generally such surgeries are carried out by plastic surgeons who ensure that the shape of the nose does not get distorted. There are many specialty clinics in Mumbai, which are dedicated to plastic surgery only. A chain of cosmetic clinics is being run by Dr. Debraj Shome who is one of the most qualified surgeons in India and has his clinics in Mumbai. 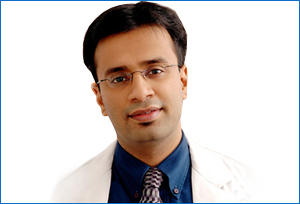 He is routinely called in for major surgeries by various hospitals in Mumbai. He travels all over India for providing his expertise on many cases which require reconstructive surgery. Many of his cases have made headlines in newspaper in India. He is not only one of the most famous surgeons in Mumbai but he also routinely features in medical journals across the globe. Plastic surgery is carried out at his clinics in Mumbai under his supervision. He personally looks in to each case at his Mumbai clinics. Dr. Debraj Shome was awarded the prestigious award for being the ‘best cosmetic surgeon in India’ by the best doctors of India award for the year 2016 in Mumbai. He was also awarded the award for being the breakthrough innovator in plastic surgery by the Government of India. His expertise is responsible for the happy faces of the patients whose life he changed at his clinics in Mumbai. In India over the years people have become very conscious about their looks and do not mind undergoing plastic surgery. Many beauty clinics in India promise to perform such critical surgery at almost fraction of a cost. Recently in Mumbai a fake clinic was sealed by the police as they were duping innocent patients by performing wrong surgery on them. In summary, we would like to say that in India there are a lot of false claims and misconceptions about Septoplasty and if you want to save your health and time, visit Dr. Debraj Shome at his clinics in Mumbai and you will not regret your decision to come to Mumbai for your surgery for deviated septum.